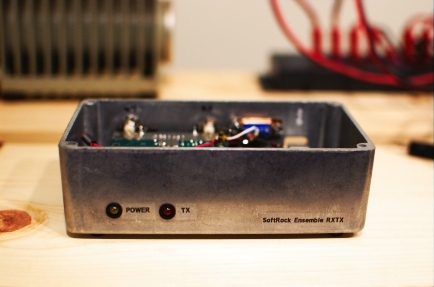 A few photographs of my latest tinkering—a SoftRock Ensemble RXTX. 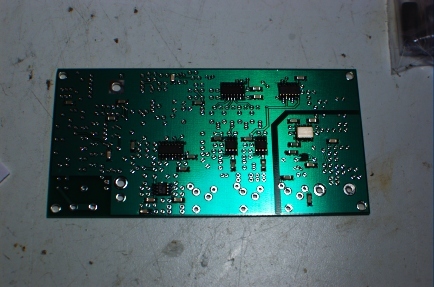 This unit provides all of the hardware necessary to have a software-defined radio (SDR) transceiver that uses a computer soundcard for ADC and DAC. It is available here as a kit. They are kitted in batches of 20-100 every few weeks and usually sell out within 24-48 hours. 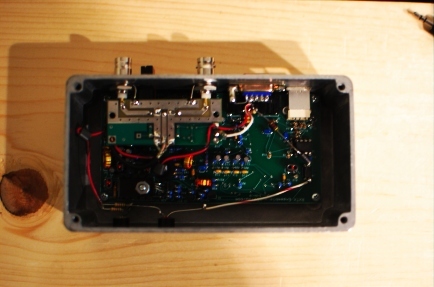 I originally had little interest in doing a full SDR transceiver (preferring receivers only) until it occurred to me that I could modify the RXTX as an IF strip for VHF/UHF transverters like many have done with the FlexRadio Systems rigs. So, I have developed a modification that is minimally invasive to the operation of the RXTX. At build time, you choose a nearly octave-wide “super band” for operation. 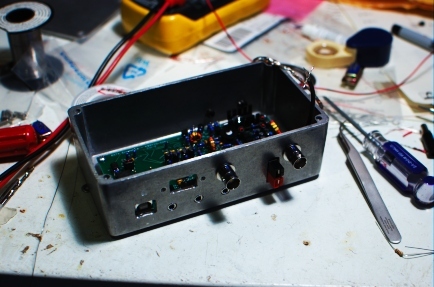 This one was built for the 20-30 MHz band, covering the 15-, 12-, and 10-meter Amateur bands, as well as the 25-28 MHz IFs that I (will) use with present and planned transverters for the 6-, 2-, 1.25-, and 0.70-meter bands. Here, you can see the W1GHZ relay board for doing split-IF T/R switching. If the transverter control cable (DB-9) is disconnected, the SoftRock switches to common-RF for regular 15-/12-/10-meter operation.